Engaging NSF's research community in the pursuit of fundamental research in data science and engineering, the development of a cohesive, federated, national-scale approach to research data infrastructure, and the development of a 21st-century data-capable workforce. This is just one example of the power of harnessing the data revolution in just one area (atmospheric sensing) in just one science directorate. 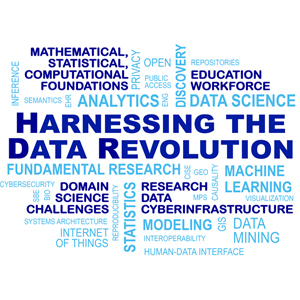 The power of harnessing the data revolution plays out over and over again in areas from chemistry to biology to astronomy to physics to engineered systems like Internet of Things (IoT), to education and more. Advanced cyberinfrastructure - accelerating data-intensive research.